College campuses all across the nation have a student cafeteria that serves breakfast, lunch and dinner. Many of these cafeterias are set up as all you can eat. They should provide delicious and nutritious meals to college students in need of something quick to keep them going and learning. It is important to make sure that these cafeterias are paying attention to the nutritional quality of all the foods being served. 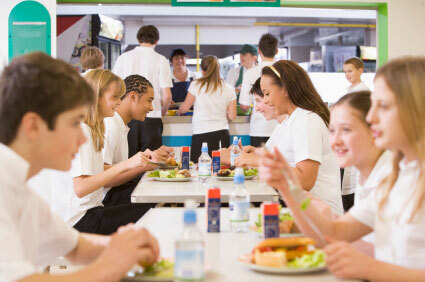 After all, most of the students eating at the cafeteria will place a higher importance on flavor than they will on the benefits they are receiving from eating certain foods. As the first time living away from home, students no longer have their parents to make sure nourishment is foremost at every meal. So it is up to the cafeteria to put nourishment front and center. There are some students that will take the time to read up on the kinds of foods they should be eating to stay healthy. Reward their knowledge by offering them foods that fall in line with healthy eating habits. Make sure that you are offering foods that are labeled as heart healthy, as well as food options that are low in calories. The majority of students are looking for healthy food without the hassle of having to cook it themselves. By taking the time to cook and offer foods that are not only low in calories, but also promote better health, you will make it even easier for students that do not know that much about nutrition, to make better diet decisions. The average college student would live off pizza alone if that were possible. Obviously, this is not the healthiest choice around. College students need to have foods that are high in protein to help them concentrate and stay focused. Since the average student will spend more time in the library than in the gym, it is a good idea to minimize the amount of carbs in their diet. Offer as many vegetable options that are high in soluble fibers as possible. Find tasty ways to prepare them to ensure that they are being chosen by the students who frequent your cafeteria. Use lots of herbs and spices on the vegetables rather than smother them with cheese just to get the students to eat it. Not every student will want to eat in the cafeteria. Even if the cafeteria is an all-you-can-eat setup, you can still offer some items to go. Students will take food from the cafeteria whether you allow them to or not. By offering foods that are designed to be "to go" items, you can help eliminate stealing and prevent students from taking foods that are not suitable to be stored in dorm rooms. Make sure that you are providing foods to go that do not need to be refrigerated in order to maintain freshness. Fresh fruit as well as pre-packaged items are perfect. If you have the ability to sell food to go, look into foods that your students can eat in class or in the study hall. Things like granola bars and yogurts are great ways to allow the student on the go to have a snack whenever he or she wants it.